If you played the other Badland games and were expecting more of the same, well this is different, as developer Frogmind has turned this into a PVP MOBA. The changes are for the better though and you’ll find a lot is going on here to engage gamers. With the smooth graphics and responsive controls you’ll have no problems getting into the action. The goal is to smash your opponent’s tower, and many elements are similar to the typical MOBA. But Badland Brawl livens things up because you’ve got troops that can be deployed. You can use these units for offensive attacks and also protect your tower. The mechanics are well implemented and simple to pick up. However you’ll need to hone your skills to make the most of it. When you do destroy the opposing tower you’re rewarded with Victory eggs and the opportunity to get new cards and upgrade. There are several ways to play Badland Brawl, but the best way to inflict damage is to just bomb the tower. As long as you’re quick then you’ll be able to smash your opponents quickly. Win as many battles as you can and you’ll jump the league standings. The loot crates can be opened immediately, but if you choose to wait the content doubles, giving you options depending on how your game is going. 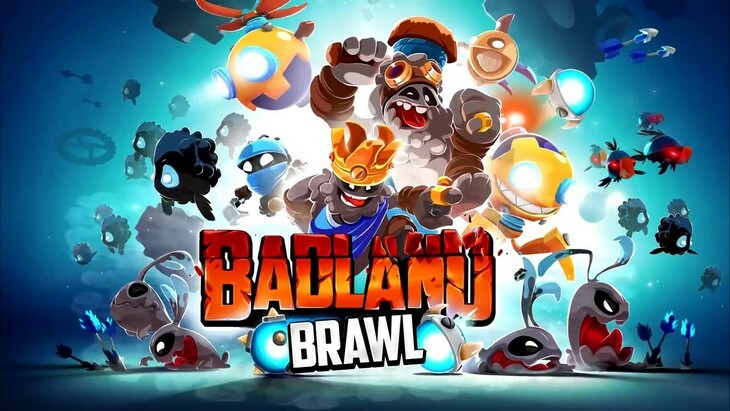 A lot of people have compared Badland Brawl to Clash Royale and it’s not hard to see why. But this is no copycat and has its own identity.